The Pure One Midi Series 3 is no longer available. The replacement One Midi Series 3s comes in Jade White or Slate Blue. 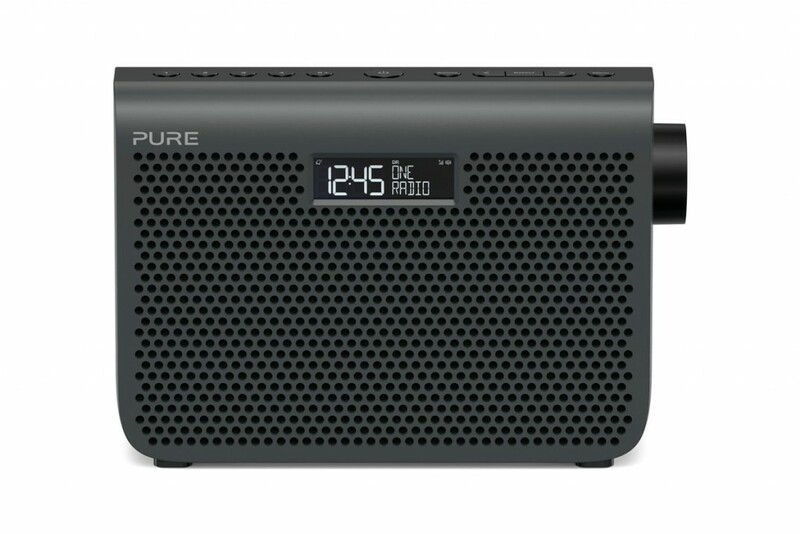 Pure is one of the most popular brands of digital radio and the One Midi Series 3 arrives as a slightly bigger brother to the Mi and Midi radios. The front of the radio is dominated by a speaker grill, behind which sits a full-range 3” drive unit. Pure has made the most of the display by including a digital clock which updates itself automatically when tuned to digital radio stations. The display also shows the signal strength and audio volume. Five dedicated preset buttons are found on the top of the radio with the power and station selection buttons. A button to switch between DAB, FM and the auxiliary input is found next to the power button. Volume is controlled with a rotary knob on the right side of the radio. This remains the quickest and easiest way of quickly turning up a song you love or reducing volume to answer the phone. A headphone socket can be found on the rear of the radio, along with an ‘Aux In’ input. These 3.5mm connections are becoming increasingly common on digital radios as we use smartphones and tablets to listen to music and podcasts. The tiny speakers in our iOS and Android devices can make listening difficult – especially over background noise at home or work. Connecting to the radio with a cheap audio cable means the 3” full range speaker can be used instead. The radio can take 4 AA batteries or a ChargePAK D1 for convenient listening away from power points. Neither is included with the radio, but the ChargePAK can be purchased separately and saves on buying batteries. A mains power supply is included in the box. Like other radios in this series the weight is kept below a kilogram and the large plastic grill won’t be to everyone’s tastes. However, as with all Pure radios the One Midi Series 3 comes with a three year warranty and build quality is among the best that digital radios have to offer. Verdict: Pure's One series brings good features, build quality and impressive warranty to this price bracket.